Providing you the best range of epdm rubber rollers with effective & timely delivery. Usage/Application Printing ,Paper ,Packaging,Textile,Lamination ,Plastic etc. EPDM Rubber Roller are built with wide range of applications. Our EPDM Rubber Roller will handle most tough industrial environments with resistant to oils, water, steam, oxygenated solvents and more. 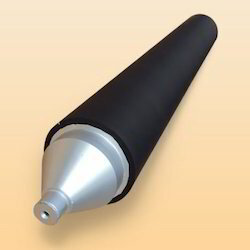 It is featured with a different durometer, tensile strength, elongation, temperature range. Our EPDM Rubber rollers is tested for quality performance and packaging purposes in many manufacturing industries.